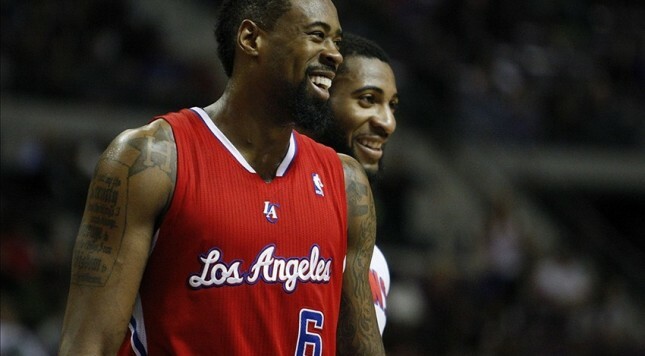 Are DeAndre Jordan and Andre Drummond Top Five Players? It is no secret that from a pure talent perspective and all-around game that LeBron James and Kevin Durant rank No. 1 and No. 2 in some order. However, what if I told you that a rebound was more valuable than an assist or steal? If I did so, then you would proceed to reweight your previous judgment in some order, with rebounds now emphasized. Using the method of logistic regression, weights (or “betas” for those in the statistical community) for basic stats like points, rebounds, assists, and so on were calculated. As it turns out, statistics that favored “active” big men were weighted more heavily than others. An active big like DeAndre Jordan and Andre Drummond often shoots very few times (and thus misses less often), gathers more offensive/defensive rebounds (creates more scoring opportunities), blocks shots (denies scoring chances), and shoots a high field goal percentage (most often because of put-backs and shots close to the basket). The results of this calculation also calculate other weights significant to a team winning but because they aren’t weighted as heavily towards the importance to winning, a player may need to obtain four assists to make as much of a difference as one rebound. Below are the top 10 players predicted by the calculation, and their season averages. The predictions are interpreted as the probability that the team wins on average by having said player on the roster. The predicted values of the model suggests Kevin Love to be the best player from the 2013-2014 season. He not only shoots high percentages from all areas, but is also one of the best rebounders in the league — not to mention a 4.5 assist average. These surprising results come in the two and three spots where our title characters enter the conversation. While they rack up the typical active big man numbers, they do so in extreme amounts both grabbing more than four offensive rebounds per game. Their activity in generating second opportunities, blocking shots, and even their relatively low turnover rate propels them to achieve a high predicted probability according to the model estimates. It is pretty clear that in terms of basketball “skill” as many define it to be the creativity for how a player plays, these two are not as talented as say a Love, Durant, and James. They are, however, as impactful on any game as those listed above. Even though this model favors big men, Durant and James appearance on this list only adds merit to how truly great they are. Despite not playing the roles of primary big men, they are able to do extremely well in other areas to compensate for the lower weights placed on many of their strengths. While the other players on this list do well in various aspects of basketball, few would consider Jordan and Drummond to currently be ranked second and third. Both players are relatively young and perhaps not even considered the best players on their teams. The results of this model also tend to favor many of the players considered “active” bigs such as Miles Plumlee, Mason Plumlee, Gorgui Dieng, Tyson Chandler, Jordan Hill, and Terrence Jones. Teams in the market for such players would do well in looking for potential players of this type. That is, to scout big men not necessarily as skilled as an Anthony Davis or DeMarcus Cousins but rather display a level of activity paralleled to that of Drummond and Jordan. Recent examples of such moves include the Sacramento Kings signing of Eric Moreland and the Philadelphia 76ers’ Nerlens Noel, who will fit this mold as well. Note: Detailed results of this model can be provided for anyone who is interested.